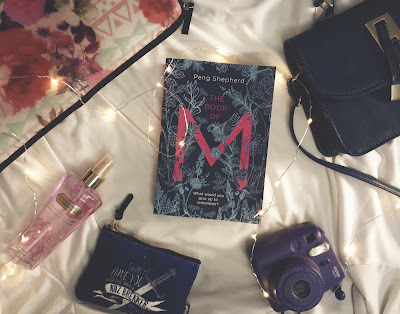 Blurb Description: Set in a dangerous near future world, The Book of M tells the captivating story of a group of ordinary people caught in an extraordinary catastrophe who risk everything to save the ones they love. It is a sweeping debut that illuminates the power that memories have not only on the heart, but on the world itself. I’d heard a lot of varying opinions about this book, even before I had a copy in my hands. A lot of people found it too slow, a lot of others absolutely loved it and some even said it was too vague a book. The synopsis, however, sounded VERY interesting and, like I’ve mentioned before, I’m trying to diversify from my usual YA list and this sounded like the perfect book to get on with that goal. The Book of M is part dystopian fiction, part contemporary romance that answers the question: What makes you human, and what are you willing to give up be more? It took me a while to get used to the characters and the writing, but I really ended up enjoying this unique, brilliantly written book. 1. Peng Shepherd’s writing was STUNNING throughout the book, but especially as she wrote Max’s point of view. The more Max lost her memory, the better Shepherd’s writing got. It was heart-breaking as a reader and fascinating as a writer to watch how masterfully Shepherd broke down Max’s memories of the person she used to be. making the reader sit up, pay attention, and piece facts together from so many different parts. I loved the loyalties that were formed, the hope that something better awaited them and the cast of characters all around, shadowed and shadow-less. 3. Just like her writing of Max, I LOVED the descriptions and feats of magic in this book. It was such subtle, underrated magic that had no spells or wands, but a price to pay in exchange and it was just SO BEAUTIFUL TO READ? 4. At the same time, when the biggest plot twists came around, especially with Gajarajan, I was left feeling like it all wasn’t explained to me enough. I also struggled to get a physical sense of Ory, Max and the rest of the characters in terms of their age, and, most importantly, the when and how long aspect of how everything was happening. They weren’t HUGE hurdles, but they did leave me feeling a little lost in the grand scheme of things. Would I recommend this book? YES! Peng Shepherd’s debut novel is filled with stunning writing and a plot that keeps twisting as you go deeper. 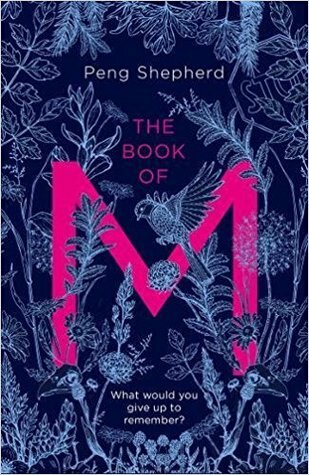 The Book of M was such a different book and I really enjoyed reading it. Peng Shepherd was born and raised in Phoenix, Arizona, where she rode horses and trained in classical ballet. She earned her M.F.A. 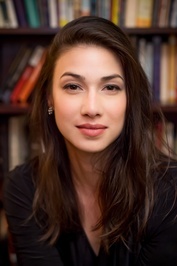 in creative writing from New York University, and has lived in Beijing, Kuala Lumpur, London, Los Angeles, Washington D.C., Philadelphia, and New York. 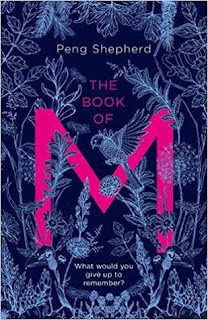 "The Book of M" is her first novel. Have you read The Book of M? What do you think of it?